Extreme Kindness » Can a kind life make you happier? Can a kind life make you happier? Yes! 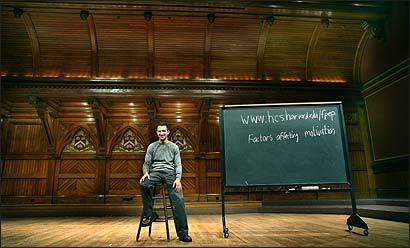 According to Harvard educator, Tal Ben-Shahar. 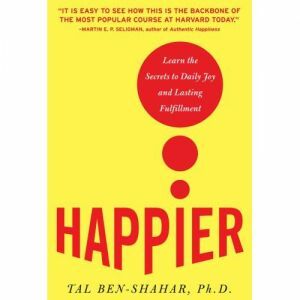 Dr. Shahar has done something I thought to be impossible and many academics probably thought absurd to teach a course on happiness! The course has become the most popular class at the ivy-league school, highlighting an overwhelming need to teach people how to live well. Dr. Shahar is part of an ever-growing body of researchers, scientists and professionals, who are moving away from asking the question of what makes us sick and replacing this with what make a person happy? The movement is grounded in the new research of positive psychology which is the scientific study of the strengths and virtues that enable individuals and communities to thrive. One of the more remarkable books I devoured in the past year was his book Happier. In this easy to read to guide of the new science of positive psychology, he explores the research illuminating how a person can increase their happiness. One topic addressed is how cultivating feelings of being kind can help a person feel better. Tal walks the reader through an exercise called, Meditating on Benevolence. Without even needing to go out and connect with someone, you can reflect on a time when you acted with kindness towards another. He asks you to remember how you felt appreciated for this kind act. Next, you visualize what the person’s response was. Also, you can focus on your own feelings during this exchange and allow them to fill you. As you bring into your awareness both your own positive feelings and the person served you can dissolve the division between helper and the person being helped. By doing this you begin to realize in every exchange of love both people are able to experience more positive feelings. Finally, you can imagine future acts of generosity in the future and feel the benefits spilling over to everyone. This simple exercise can help you to experience a greater sense of calm, connection and happiness. In practicing this meditation, I am reminded again, Happiness comes from within. In this video, a broad overview of the work being done by Tal is given.